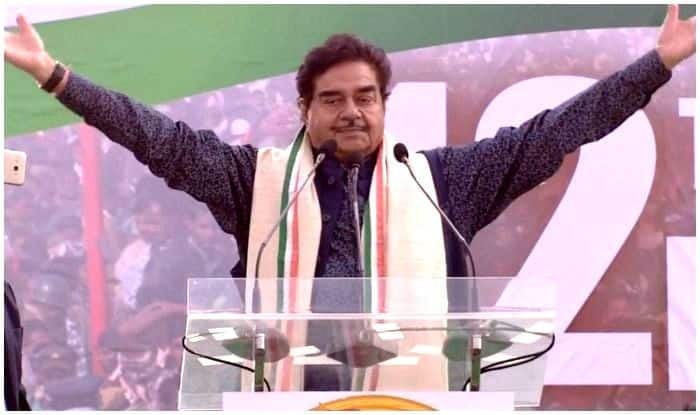 Meanwhile, Shatrughan Sinha, who shared the stage with opposition leaders in Kolkata, said that he was not afraid of being removed from the ruling party. Kolkata: The Bharatiya Janata Party (BJP) on Saturday vowed to take ‘cognisance’ of MP Shatrughan Sinha presence at the united opposition rally, organised by TMC supremo and West Bengal Chief Minister Mamata Banerjee in Kolkata, against the Narendra Modi government in a run up to the Lok Sabha Elections 2019. “My elder brother Yashwant Sinha was saying that after this I will be definitely removed from the party, I told him ‘koi baat nahi hai’ (no problem),” he said at the rally attended by several opposition leaders, including from the Congress, Samajwadi Party, Aam Aadmi Party and Rashtriya Janata Dal, among others. Two days ago, Sinha had said he did not receive ‘respect’ in the BJP and will attend the Kolkata rally, which was being projected as a show of strength by anti-BJP political parties. Sinha has been at odds with his party over several issues and has criticised the demonetisation exercise and the implementation of the Goods and Services Tax. He claimed to have been attending the rally as a representative of the Rashtra Manch, a political action group launched by former BJP leader Yashwant Sinha.